A sea fishingtrip on the Hvita is great fun. 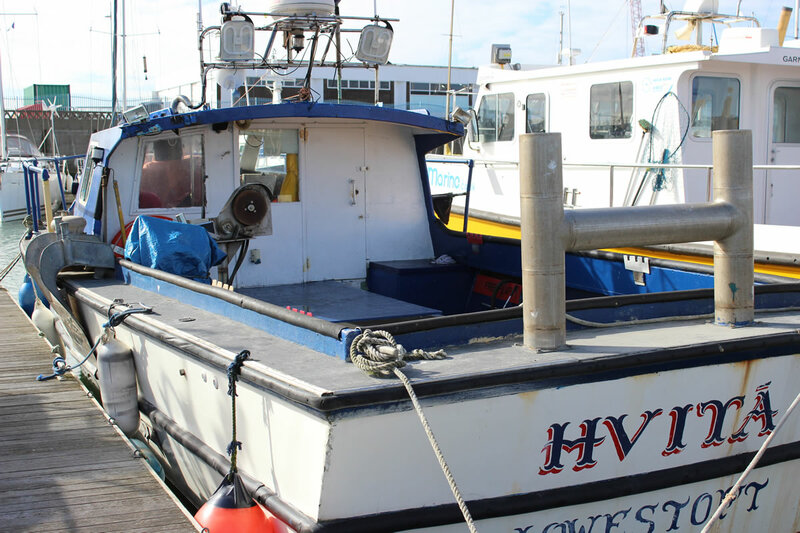 We cater for groups up to 10 people, with all levels of sea fishing experience. We're all about the 'fun of fishing'. We provide all the rods, tackle and bait and our friendly Skipper will make sure you have a great day out with us. We charge £50 per person. Check availability below, book your place with a deposit of just £20 per person and come join us for a fabulous fishing trip on the Hvita.